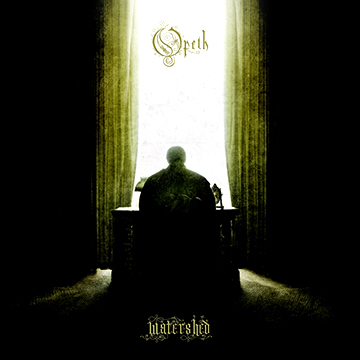 Despite Opeth losing the lovable Martin Lopez and the essential secondary guitar player, They still produced another masterpiece, definitively their best since Still Life. However, this album should not be compared with Still Life, it is quite different and I was surprised when I heard it. The album uses the brutal elements of My arms, Your Hearse while mastering the dynamics and non-metal songwriting of their previous two albums. There is quite a bit of 'prog' experimentation, mostly on the softer moments of the album, but there is no mistaken that this is still Opeth. There are many surprises here. The first is how well the new musicians fit here. The guitar player is more technical, but his playing is generally restrained and harmonizes with Mikael very well. The drummer is also more technical, but it actually helps as he makes fantastic drum patterns throughout the album. Secondly, Per Wilberg's keyboards take a larger role and are well integrated with the music. His playing is restrained and very tasteful, with no cartoony synths nor cheesy orchestra sounds. Lastly, it surprised me that while the leader hyped this as the heaviest and darkest album, it has minimal use of growls, and has some 'less sad' parts. This helps create a soft/heavy balance that is ideal for me, as I need my death grunts to a minimum, and want plenty of soft sections in order to have the metal parts make a bigger impact when they come. Other positive aspects of the album are the great sound engineering which helps make the metal parts more crushing, and the overall consistency. As for Bonus Tracks: Derelict Herds is a quite neat song that sounds very much like Riverside with a growling section in the middle which sounds quite different for Opeth. The covers are quite nice and faithful to the originals. The one sang in Swedish is the standout for me. It is simple, but gorgeous. Bridge of Sighs also is worthy of notice due to the solos at the end. It all sounds like if the band is very inspired and is not afraid to experiment. This gives it a 'transitional album' feel which gives hope in that the band could actually top this with a more perfected album in the future. I do not know whether I like more Still life or this one. Still life is stronger on lyrics, coherence, and storytelling, while this one sounds more philosophical, reflective and mature instrumentally-speaking. If you're more of a metal-head and are not familiar with Opeth, start with Still Life, which is some of the best heavy metal you'll come across. If you're a prog rock fan, this one might be a better place to start as the soft and melodic elements are plentiful, balancing out the brutal parts.